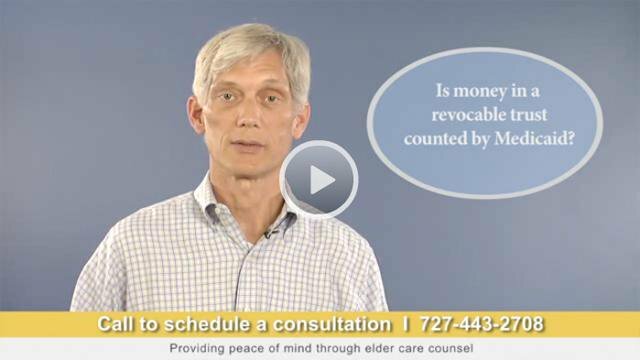 Is Money in a Revocable Trust Counted by Medicaid? I'd like to talk to you for a minute about an issue that comes up sometimes when I'm screening people for Medicaid eligibility for nursing home benefits. Some people are surprised to learn that the assets they are holding in a revocable living trust are counted by Medicaid as their assets for the purposes of eligibility. Medicaid counts them because you enjoy so much control over the assets of a revocable living trust. You can take them out of the trust and you can change who gets them. So this is why Medicaid counts them. They're much like being in your own name. There is a different type of trust that's used for Medicaid eligibility planning. We have to do this five years in advance for everything to work out perfectly. We create an irrevocable trust and then transfer assets to those trusts and five years after those trusts are set up, then we do not have to report the assets in the trust to Medicaid. 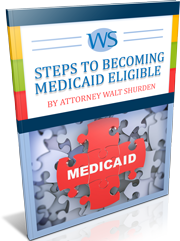 We do this kind of planning, eligibility for Medicaid and estate planning for a lot of families and would love to help you. I invite you to call our office for a consultation.